Make some lasting memories with a goodbye event that’s more sweet than bitter. Click the button below to start planning your Farewell party at Cowch. 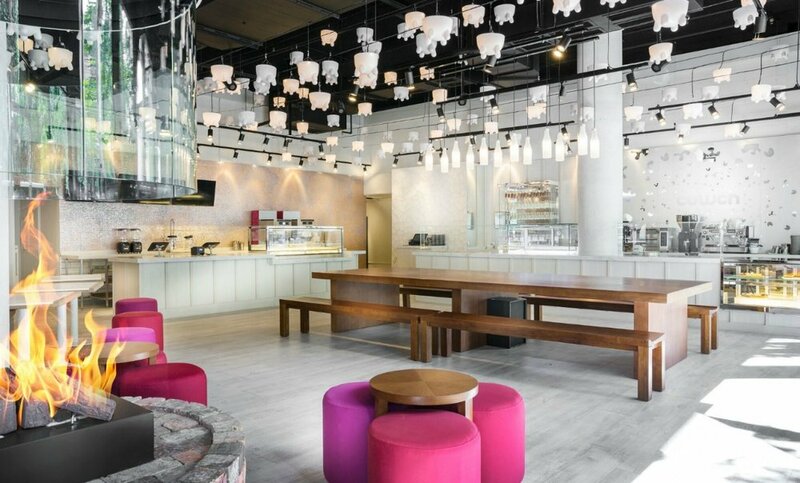 Say goodbye in the sweetest way possible with a farewell party at Cowch Dessert Bar. Let us help you celebrate with loved ones as you step towards your new adventure. Cowch offers a range of fantastic goodbye party ideas and is home to various function spaces. Say your farewells over cocktails, mocktails and tap beers. Or meet one last time for coffee, tea and smoothies during the day. Shake things up with a cocktail masterclass. Learn to make four different cocktails in a relaxed environment. Indulge in a decadent farewell dessert from our incredibly sweet dessert menu. 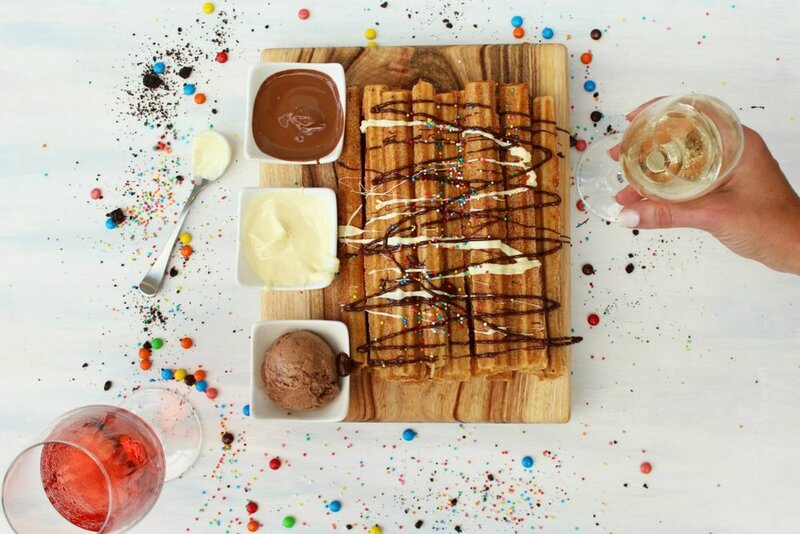 Host the ultimate farewell party featuring churros platters, dessert pizzas and your choice of a smoothie or glass of fizz per person. 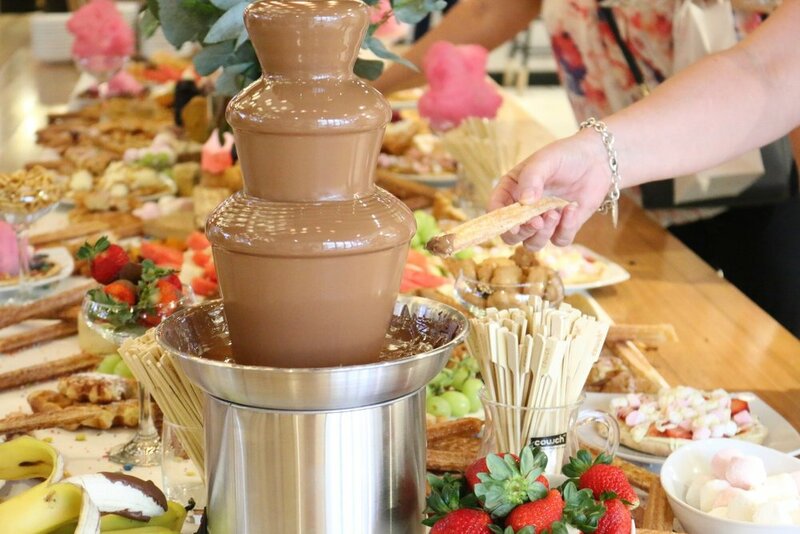 Go all - out with the Tasting Table, the ultimate goodbye treat for those with a sweet tooth. Explore Southbank’s favourite party venue. Treat yourselves to a decadent goodbye in one of our spacious function areas. Host a farewell party to remember at the Gold Coast's most exciting function venue. Book a booth, communal table or a cozy couch.